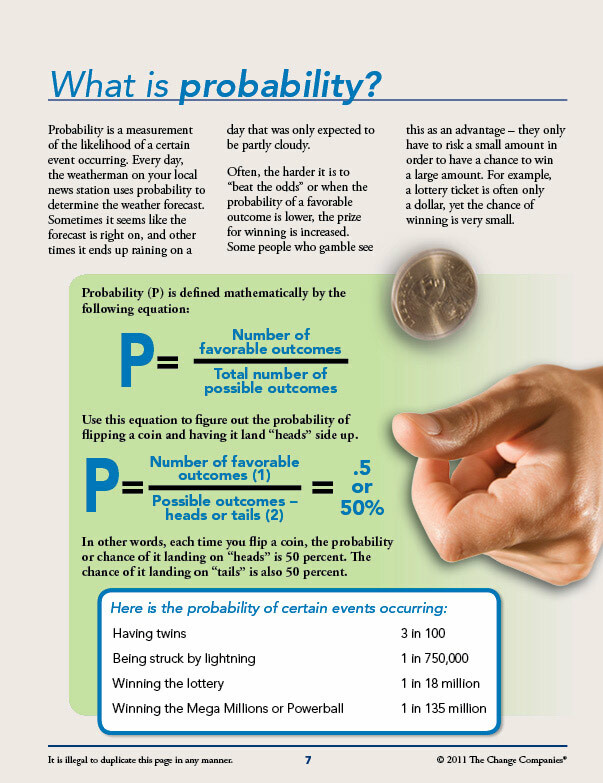 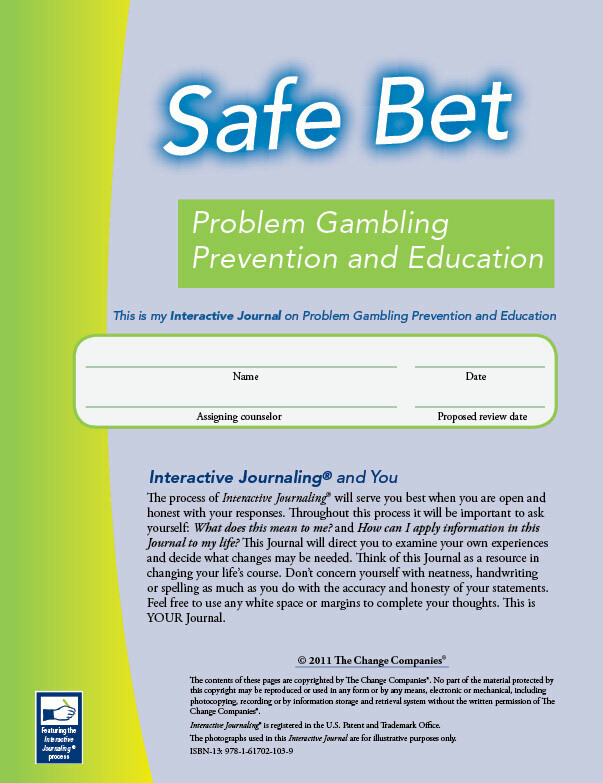 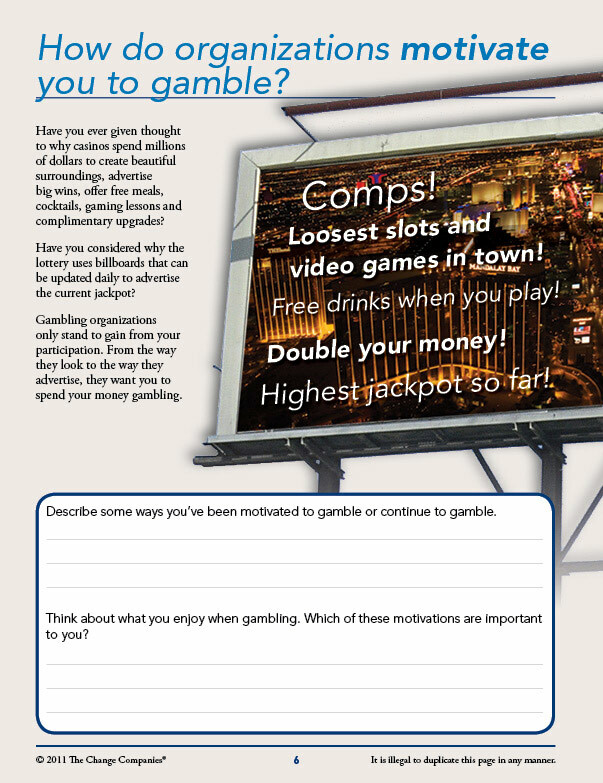 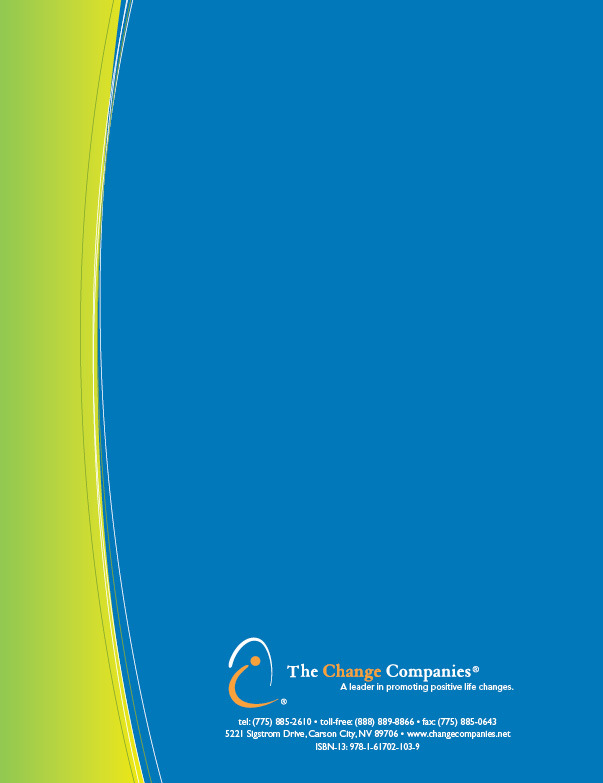 This 32-page Interactive Journal is designed for individuals at risk for problem gambling behaviors. 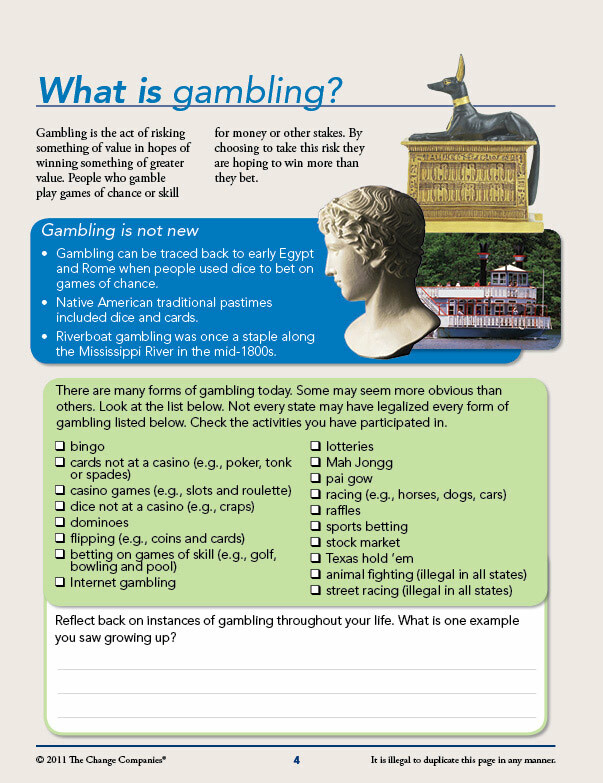 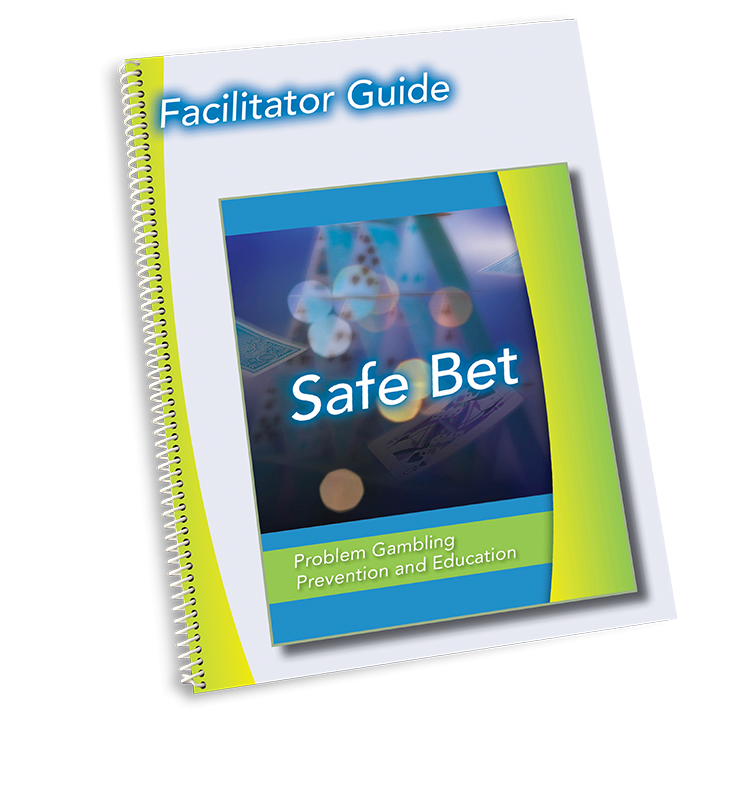 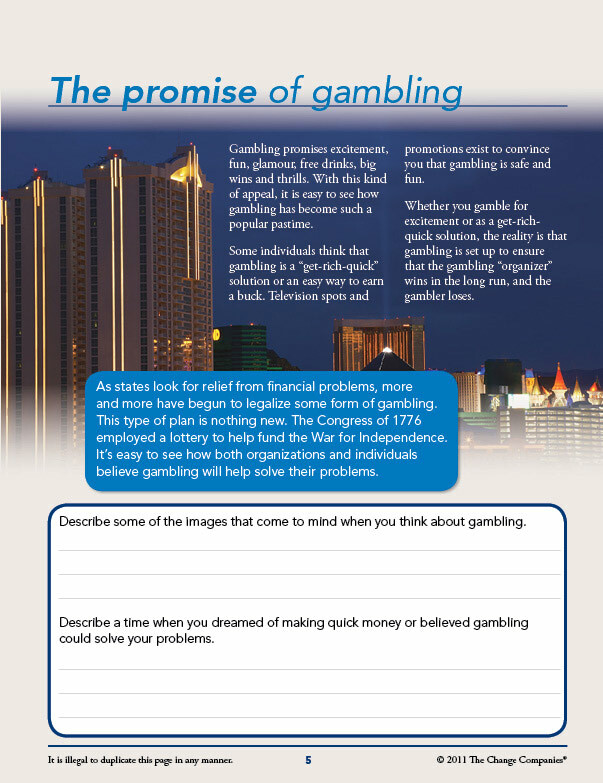 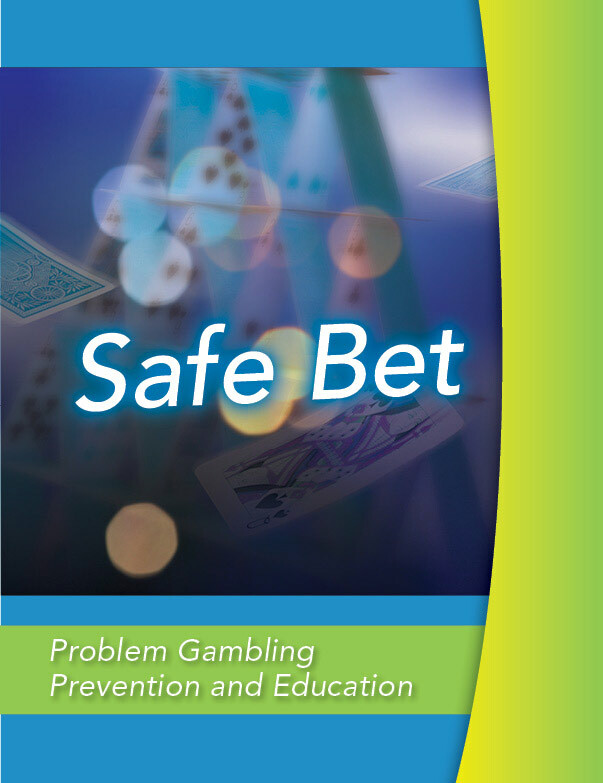 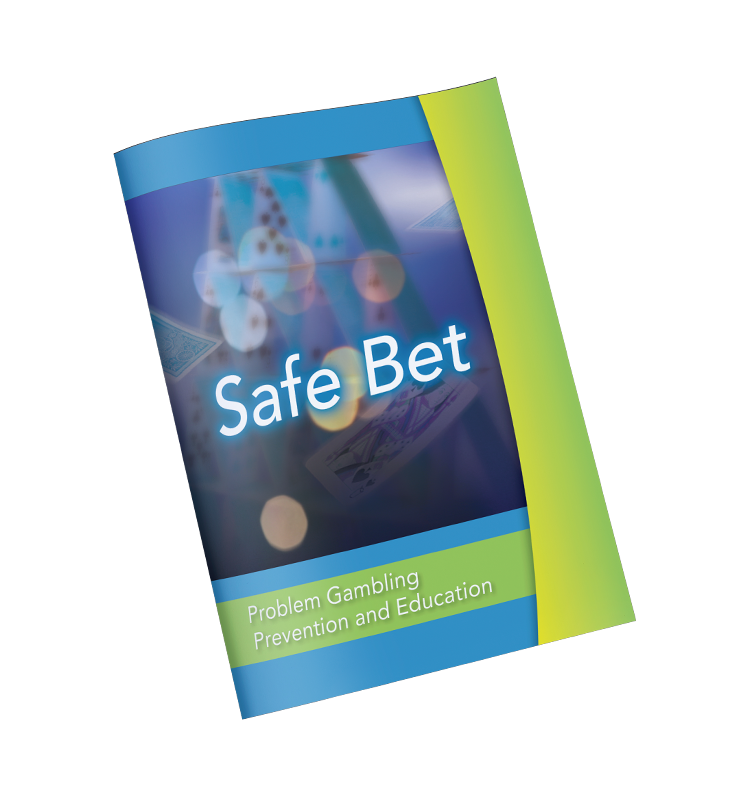 Safe Bet challenges individuals' common conceptions about gambling, helps individuals recognize their motivations for their gambling and offers tips and strategies to replace or diminish harmful gambling behavior. 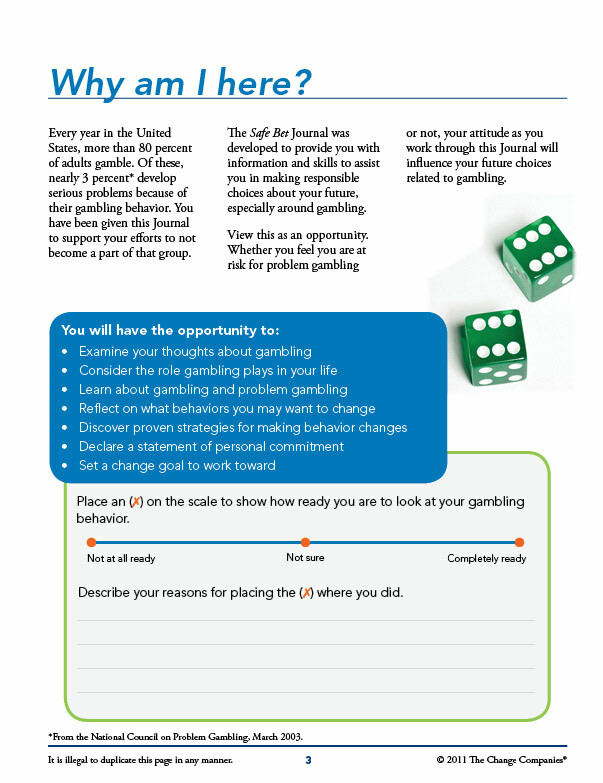 The Journal motivates individuals to take on the responsibility of making healthy gambling choices in the future.